Thanks to everyone who helped with and participated in this past Sunday's Morra simul. 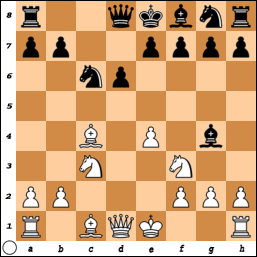 There were some fascinating games played, leading to a number of interesting tactics. See if you can find what IM Esserman did! Thanks for Making July a Great Month for the BCF! 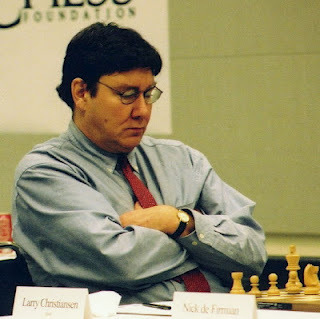 -- Thank you to International Grandmaster and 3-time US Champion Larry Christiansen, who helped make our BCF Master Challenge a success by offering fascinating and engaging game commentary. -- Thank you to BCF Board President Charles Riordan. Charles helped in many ways. 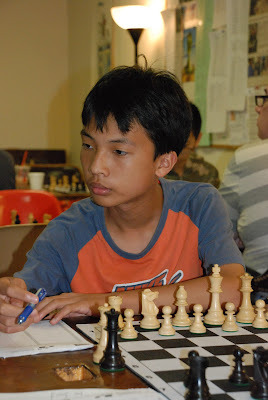 He donated the Fide rating fee for our signature event, helped organize our Annual Summer Picnic, and worked closely with the fundraising committee to plan the entire month. -- A big thank you to Bob Messenger, who volunteered his time to direct our BCF Master Challenge tournament. Bob truly cares about the chess community, and we are lucky to have his service. 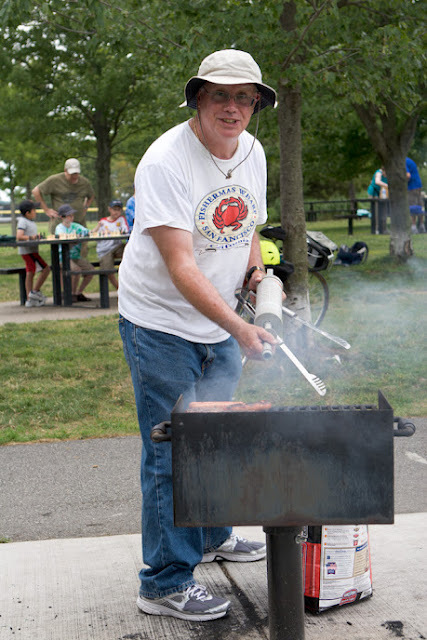 -- Thank you to BCF Board Member Mike Griffin, who once again handled most of the cooking duties at our Annual Summer Picnic. 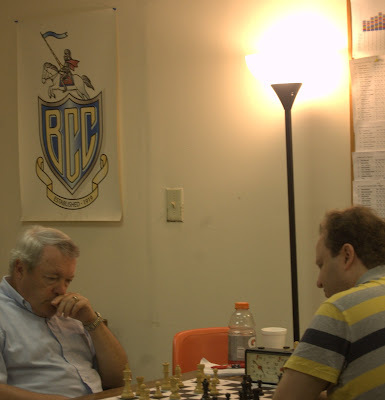 -- Thank you to BCF Board Member Doc Kinne, who transmitted moves to Grandmaster Christiansen during the BCF Master Challenge so the games could be analyzed. Doc said he always wanted to be a runner, but I think it was more stressful than he expected it would be! -- Thank you to the entire BCF Board, including Natasha Christiansen, Bernardo Iglesias, and Dan Schmidt. We worked together as a team and together we made July a good month for the Foundation! We have a wonderful group of volunteers who give their time, energy and abilities to the BCF to support local chess. We are truly blessed! 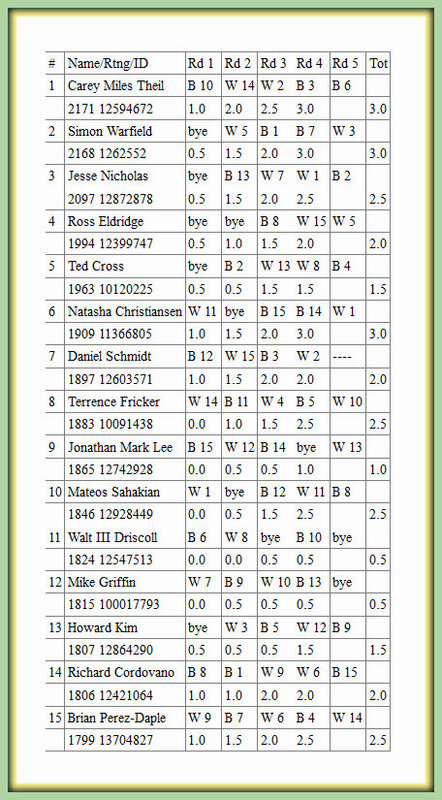 Carey and Simon tied with 4 of 5 points and are the 2012 BCF U2200 Champions. Only one will initially be invited to the BCF Championship, based on tie-breakers. Later, after the field is clearer, Bernardo may invite others from the Reubens Landey. Incredibly, today marks exactly one year since I walked into the Boylston Chess Club, entered the $10 Open, showed Bernardo my new TD card, said I wanted to help, and then proceeded to lose all my games that day (you have to give yourself a good baseline to start from, you understand!). I look back on the last year with both awe and some mixed feelings.The mixed feelings are tied to my performance over the last year. In a year's work, ultimately, I've risen, as of last Thursday night, a grand total of 11 rating points! 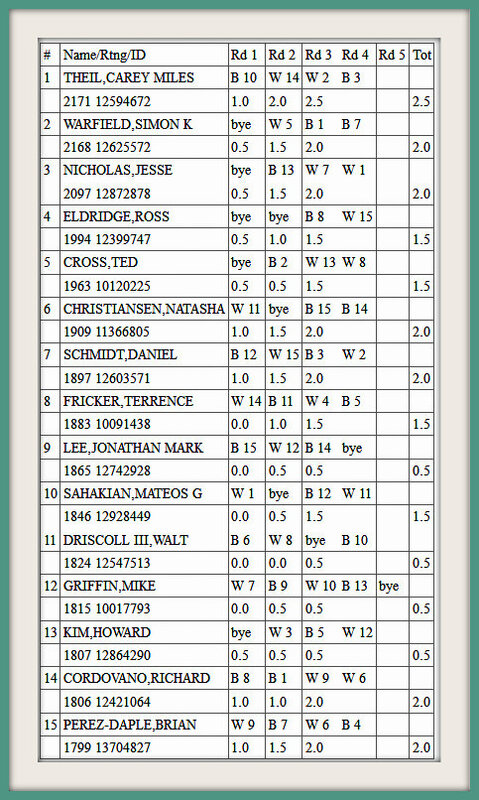 On the other hand, my winning percentage in both 2011 and so far in 2012 is the best it has ever been since 1991. So, like I said, a mixed bag. I have been able to participate in events that, 30 years ago in Syracuse, NY, where I grew up and started chess, would have been unthinkable. 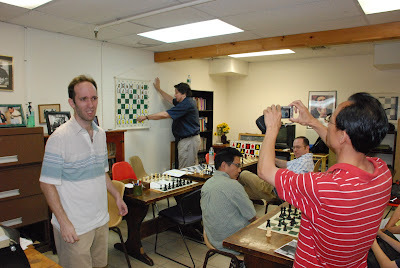 In Syracuse I played a Simul against Joel Benjamin once before he gained his GM title. 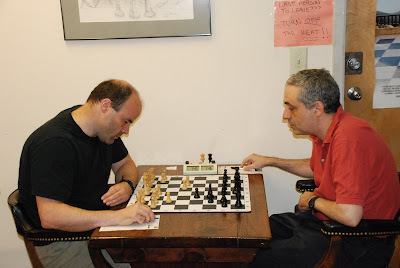 Here in MA, as part of organized chess, I've found myself being slaughtered regularly against GM Larry Christiansen in his very popular South Station Simuls, and even had the privilege of driving Larry home from a tournament once this year. Larry was the first chess Grandmaster I'd ever met, and someone I'd known of since he won his first US Championship back in 1981, sharing it with my favorite Grandmaster from childhood, that "other" Larry - Evans. I've had the chance to root for organized chess teams, the good old New England Nor'easters and the Boston Blitz - something that in central NY didn't even exist. But the real awe has been...the people! 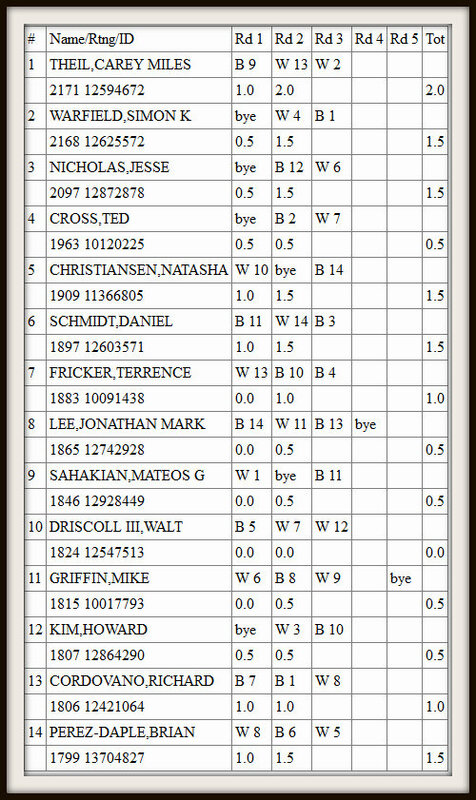 Never in my 47 years have I found the characters that I've found in MA chess! Bernardo, now that he has a small staff, is playing again! 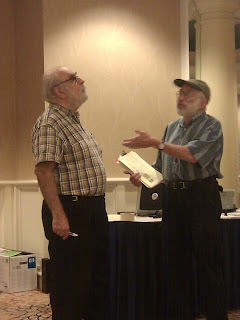 The always-has-his-hand-out-to-shake-yours friendliness of Seth Lieberman. The Boylston Chess Club has been amazing! One of the new things that came out of left field for me was getting involved in chess politics starting at the Boylston. Former BCC President Dr. Jason Rihel invited me to the Board and then shocked me by nominating me as Clerk. The Boylston Board is one of the top two Boards I've been involved in. The meetings are smooth, the discussion is civil, and the Board as a group is progressive. They're not afraid to try new things, as evidenced by such things as the BCC Members picnic, the increasingly successful South Station Simuls, trying to restart a scholastic tournament program, and organizing the very first FIDE-rated Masters tournament in the history of the City of Somerville. And that was just this year! 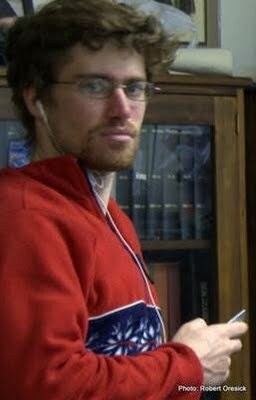 MACA in Classic Debate Mode! 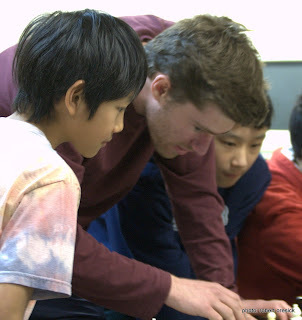 I've been privileged to even get involved in chess at the state level, certainly an opportunity that never quite presented itself when I was in central NY. 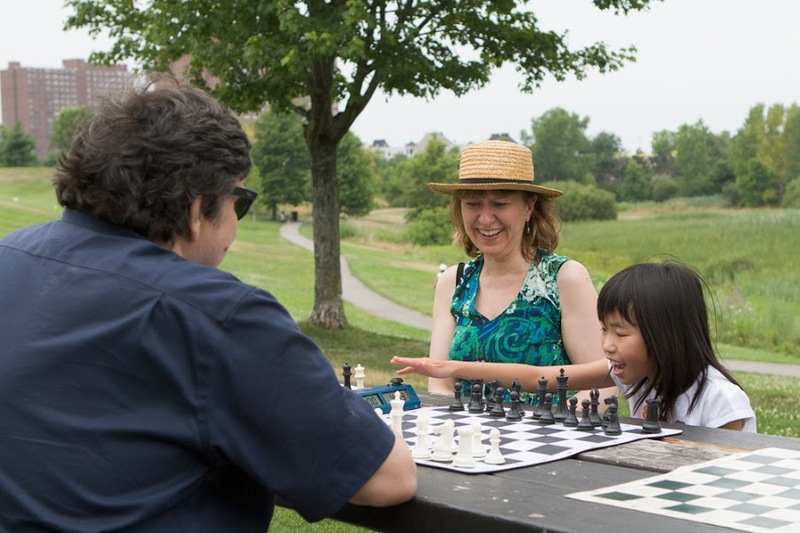 While the discussion and arguments of MACA apparently have attained the level of legend, I can say that the people involved at the state level in MA have great hearts and have devoted a good portion of their lives to try to move chess forward in the Commonwealth. I have been impressed with the quiet leadership of George Mirijanian. Brian Mottershead has inspired me to become involved in parliamentary procedure seriously for the first time. 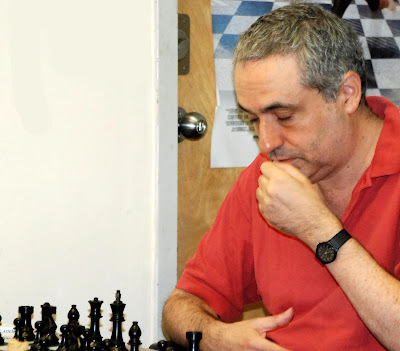 And newly created FIDE Arbiter Bob Messenger, who recently directed the very first FIDE tournament in the history of the City of Somerville right here at the Boylston Chess Club, is far and away the hardest working chess person in New England that I've met! So, on balance its been a heck of a year, and I'm looking forward to the next! The July Thursday Night Swiss Champs! It is my pleasure to report that the July 2012 Thursday Night Swiss was a great success! We had a total, over four weeks, of 24 participants ranging from an International Master to a new 3-digit-rated beginner. Sharing 1st and 2nd Under 1800 were Alyssa Stachowski and Thomas Sifter. Sharing overall 1st and 2nd place in the July Thursday Night Swiss were Jesse Nicholas and Alex Slive. Congratulations to all the winners in July, and remember to come back to the board in August where your Friendly Neighborhood Tournament Director will be Nathan Smolensky! Prize Info: Prizes based on entries. Registration - Online: Available. Please scroll down to select a section to register or click here. Registration - Mail: Payable to: BCF. Mail Entry to: BCC, 240 Elm St., Ste B9, Somerville, MA 02144. Are you ready? Are you prepared to witness the madness that spews vehemently forth from this long-overlooked and oft-underestimated pawn sacrifice? Or are you perhaps still convinced that it is harmless, confident it is completely clear of compensation? Either way, Marc Esserman challenges you to defeat him in the Morra Gambit this Sunday in front of Au Bon Pain at Harvard Square. Entry into the simul is $5, and all games will feature the Morra (no declines!). 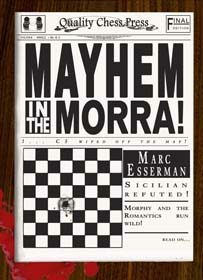 Winners will receive a free, signed copy of IM Esserman's new book, Mayhem in the Morra. There will also be a book signing after the event, and it is a great opportunity to buy a copy if you haven't yet. Event may be postponed in the case of rain. Stay tuned for updates. Prizes: Trophies for 1st – 2nd in each age group. Medals for 3rd – 4th in each age group. High School: Trophy for 1st & Medals for 2nd and 3rd And the very popular chess pencils to all! New or unrated players are Welcome! The main room of the Boylston Chess Club is not fancy. It’s windowless, lined with bookshelves and sporadic chess themed poster art. Long tables, pre-set with chess boards and flanked by mismatched chairs, dominate the room. On July 14, that room contained a group of eager chess enthusiasts waiting for tournament director Bernardo Iglesias to put up the matchups for the first round of tournament games on a bulletin board. “The pairings have been posted,” he announced, and the games began. 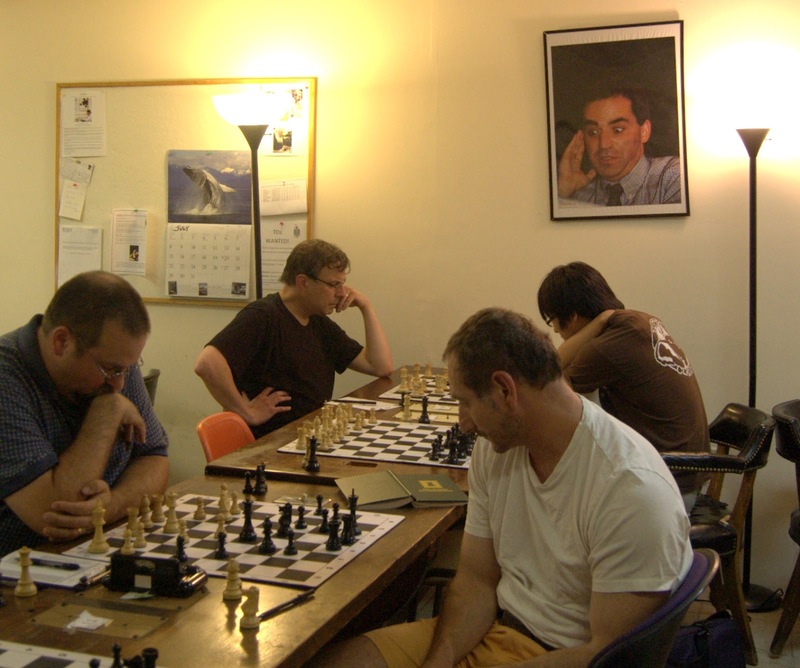 The chess club, located for the past decade in Davis Square, has tournaments for members every week. 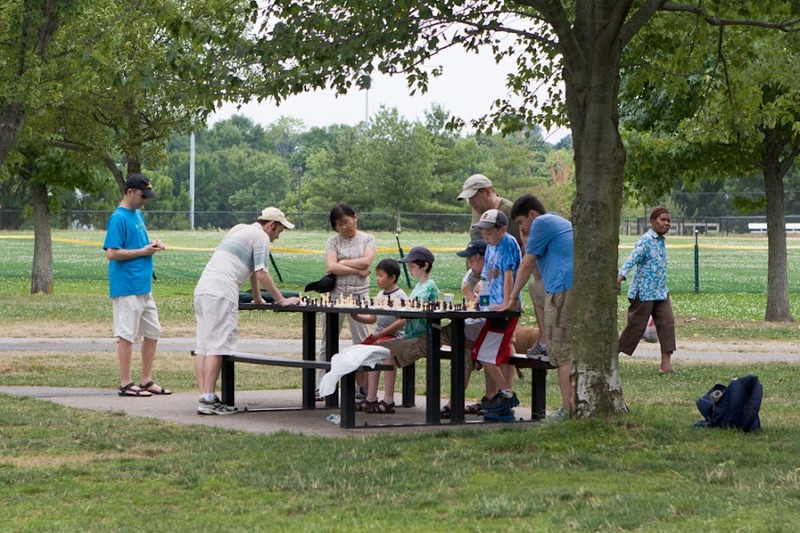 On July 21, though, the club will host Somerville first international chess tournament as part of its member appreciation month. 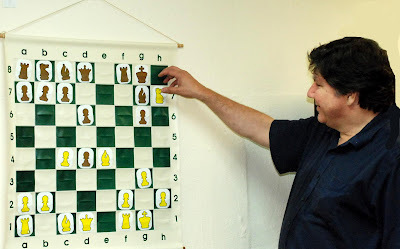 Directed by World Chess Federation (FIDE) accredited arbiter Robert Messenger, the two-day tournament will feature an Internationally rated Masters Challenge and a Nationally rated Summer Open. “We wanted to do a special month of events, to thank our members,” said Carey Theil, the club’s vice president. The chess club has an active schedule all year long with weekly nationally-rated chess tournaments and open play days for club members. 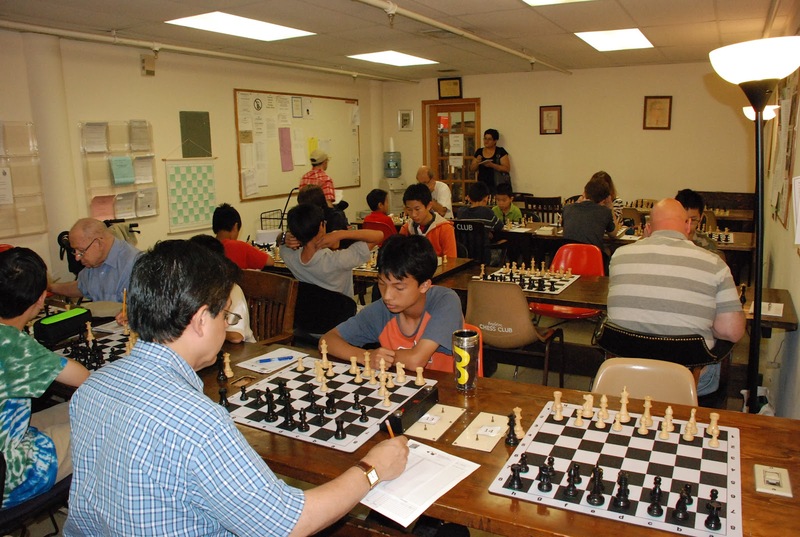 Club members also promote chess in schools with an active scholastic program and run a youth chess camp. But tournaments are really their big draw. The atmosphere was competitive and friendly last Saturday as the players set up their timers, took out their play books, and quietly settled into the rhythm of their matches. After starting the clocks and calling for cell phone to be turned off, Iglesias had other duties to perform. As tournament director, Iglesias was responsible for knowing all the US -Chess Federation rules and serving as arbiter should there be a need to settle a dispute. Not that the club frequently sees outbursts. With close to 200 members, the chess club is a community of passionate and dedicate chess players of varying ages and skill levels that has earned itself a national reputation as one of the foremost chess clubs in the United States. “It’s one of the top five chess clubs in the country,” Theil said. As the club’s name suggests, the Boylston Chess Club has not always been in Somerville. The club began on Boylston Street in Boston in 1919 and has been organizing nationally and internationally rated competitive chess matches ever since. Relocating to 240 Elm Street in Davis Square in 2003 marked a new era for the club. The Masters Challenge is open to Masters level club members with a rating of 2200 points or higher. Spanning two days, there will be four rounds of matches, two on Saturday and two on Sunday, starting at 10 a.m. and 3 p.m. The event will feature world class chess playing as well as live commentary by Chess Masters and three time US Champion and Grand Master Larry Christensen. For club members who aren’t ranked at 2200 and above, but who would still like to play, there will be a separate nationally rated Summer Open tournament, running concurrently with the Masters challenge. History in the making. BCC, from the time of Pillsbury way back in the day, to the 21st Century, we are witnessing the first FIDE rated event of the Boylston Club in its very long and illustrious history. 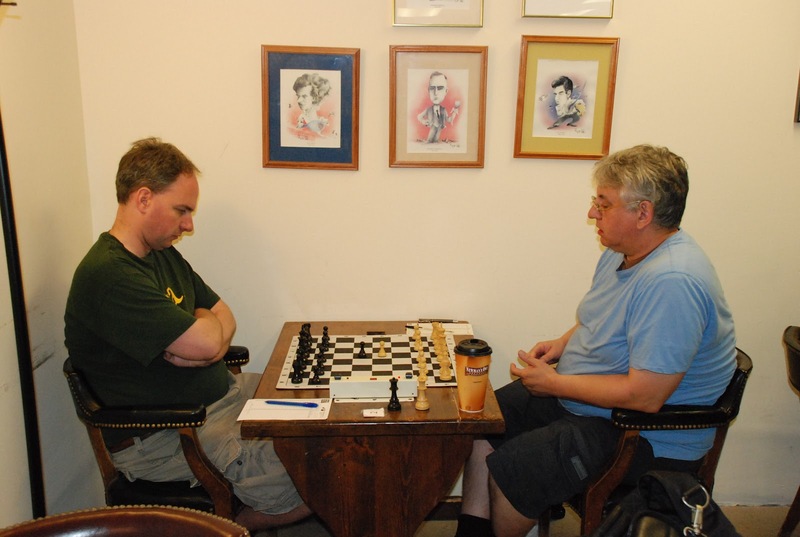 Charles Roirdon President of BCC and Cary Theil, Organizer of first BCC FIDE Master Challenge plus Jianping Yuan (father of Ben Yuan, both from Shanghai, China, visiting Boston for the summer) snapping a photo of GM Larry Christiansen analysing the Cherniak Yedidia game. FM Chris Chase v NM Gregory Kaden; and FM Alex Cherniak v IM Jonathan Yedidia, held under the portrait of Harry Lyman. GM Larry Christiansen provides analysis of game: Cherniak v Yedidia; Richard Kinne records moves of games at front tournamet table and delivers them to GM Larry for update on game, in skittles room. And simultaneously: BCC Summer Open (Bernardo Iglesias, Director and participant). So for BCC playing area: A FULL HOUSE Considering the absolutely beautiful weather outside, the BCC activity is remarkable and exciting. 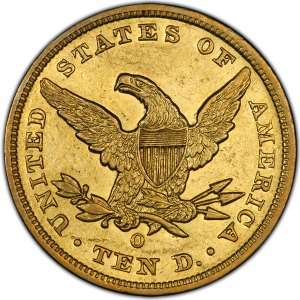 Thanks for your assistance in posting this historic event. Just a few snaps, from Saturday, July 21st. Enjoy. I'm happy to announce that International Grandmaster and 3-time US Champion Larry Christiansen will be providing commentary and analysis during the first round of the BCF Master Challenge. The first round will take place tomorrow, Saturday, at 10:00 AM. Please come and listen to free analysis by one of strongest players in the country! Also, the BCF Master Challenge and Summer Open are taking place in Davis Square, Somerville at the same time as a fun festival called Artbeat. According to the official website Artbeat is "one of the area's largest and most innovative arts festivals, complete with two stages of music with over a dozen bands, dance troupes, 75 craft vendors, food and migration-themed activities." If you're not playing in the Summer Open, you might consider coming to watch some of the Master Challenge games, and then enjoy Artbeat. What a great Saturday! Please do note that parts of Davis Square will be closed to traffic for the festival. You can still park, but you might need to find a spot a few blocks away. Also, you should consider taking public transportation if possible. One option is to drive to Alewife T station, park your call in their all-day lot, and take the train one stop to Davis. This weekend, we will be hosting the Boylston Chess Foundation Master Challenge, a two-day, FIDE rated tournament open to BCF members rated 2200 and above. Live commentary will be provided by Grandmaster Larry Christiansen and National Master Carey Theil. It should be a fun event! On Saturday, we will also be holding our Summer Open, a G/90 swiss. Players in both tournaments should be aware that the City of Somerville will be holding its annual ArtBeat festival on Saturday -- while this can be an added attraction between rounds, it does mean that much of Davis Square will be closed to street traffic. The city has sent out the following e-mail: "[T]he following streets in the Davis Square area will be closed from 8 a.m. to 8 p.m. on Saturday, July 21st: Elm Street from Grove St. to Davis Square; Holland Street from Buena Vista Road to Davis Square; and Day and Dover Streets within one block of Davis Square." Davis Square is still fully accessible by T, and some street parking should still be available. Nope, I'm not talking about Dave Glickman, inventor of the BCC Blog Gambit. Nor am I talking about the Dave with whom Mike Griffin and I are so familiar ("Who is it?"). 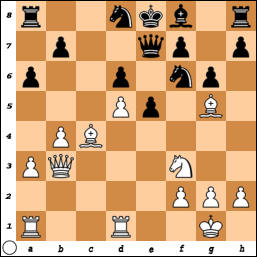 Back in 1985, I organized a friendly simul that FIDE Master Dave Glueck gave in this area. Young Bob Seltzer, who eventually became a master himself, and his father Richard both played in that simul, along with me and a small number of other amateurs. 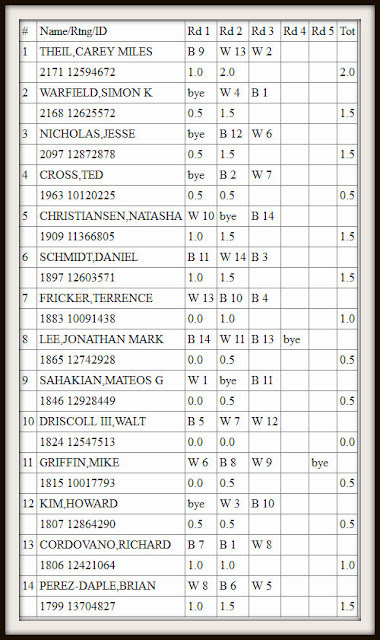 I knew relatively little about chess in those days, having only recently joined USCF, and having been playing rated games for less than a year. 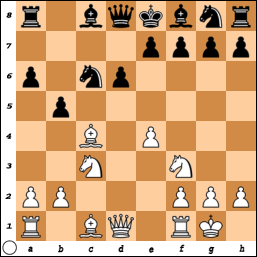 Some people may say I still know little about chess (and they'd be right! ); my rating has barely gone up since then. Young Bob won his game (the only player not to lose, I think), and excitedly exclaimed "I beat him!" to his father. Honestly curious, I quietly asked Dave after the event, "Did he really beat you? ", to which Dave replied with mild amusement, "No, I let him beat me." Dave was also a master of the child-encouraging finesse. Back in those days, there were periodic evening blitz tournaments at Harvard. An all-play-all crosstable was drawn up with colors assigned, and over the course of the evening you just had to search out every opponent, in any order, play them, and mark the result. One evening both Dave and Harvard Square chess master Murray Turnbull were playing, and I remember being amused to hear Dave cheerfully accost Murray with "Oh, goody, goody, do I get to play you now?" Murray was rather less enthusiastic, rebuffing Dave with, "Oh no, I'm not ready for you yet. ", then headed off in search of easier game. IM Esserman is a member of and player at the Boylston. At last his book on the Morra is available -- check it out. 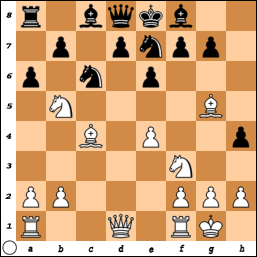 The Morra Gambit is a popular weapon at club level, but can it be effective at GM level? Marc Esserman believes so and he has 2700-rated scalps to back up his view. 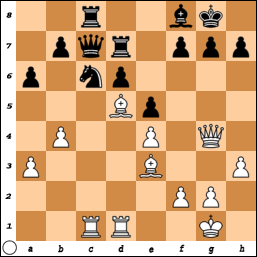 Mayhem in the Morra offers a complete fighting repertoire for White against the Sicilian with 1.e4 c5 2.d4 cxd4 3.c3. Esserman is the world's leading expert on the Morra Gambit and he shares all his secrets and many novelties in a lively witty style. 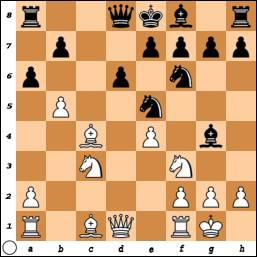 The Morra leads to exciting gambit play, so some players decline the offer with 3...Nf6 - Esserman also shows how White can attack this cautious defence. Don't be afraid of the Sicilian - unleash Mayhem in the Morra! 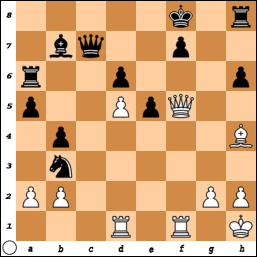 Marc Esserman is an IM from the USA who has played and analysed the Morra Gambit for most of his life. 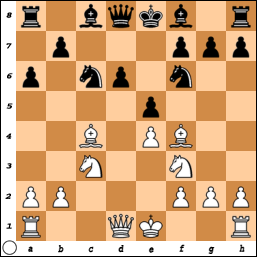 "In 2011, when preparing for the US Championship, I decided to employ the Morra Gambit as a surprise weapon if given the chance. Marc supplied me with a vast amount of analysis and novelties for that tournament and I became convinced that the gambit was not only dangerous, but perfectly sound. There is no greater authority in the world on this line than Marc Esserman and he lays it all out there in this book." "I thought: Is he serious? Are we going tp play coffeehouse today? Now I know the answer, and the answer is yes! I got crushed in an impressive way, leaving me both groggy and completely mad, forcing me to consider the Morra seriously for the first time in my life.."
After three rounds the Reubens Landey U2200 championship has tightened up. Carey leads with 2.5 of 3 points, but six others are close on his heels with 2.0 scores. Two rounds to go. A great time out in the big green room. A special thanks to Charles Riordan and especially to Mike Griffin, who were the organizers and prime movers. Mike planned the event, worried about the permits and locks, did the grocery shopping, did the transport to and from, and did the chef duties non-stop all afternoon. Many thanks to Mike! I got this great crowd shot as IM Marc Esserman performs his lightening speed moves for all comers. Here he is playing a rather strong player (candidate master). Billy Collins and Alyssa Stachowski, part of the BCC family of players, watch with anticipation. 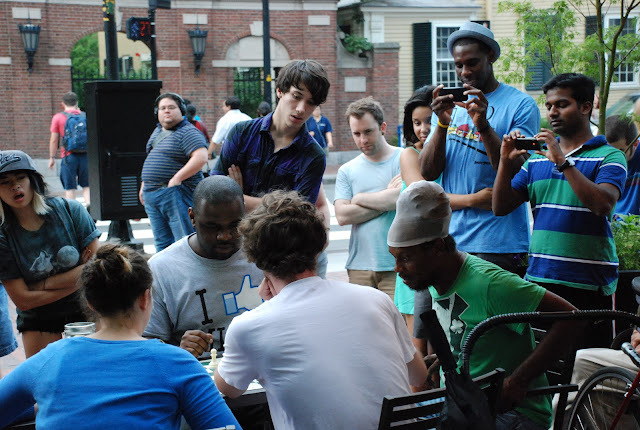 The event took place at the outer edge of the Au Bon Pain Cafe chess plaza, Harvard Square, Cambridge, USA. 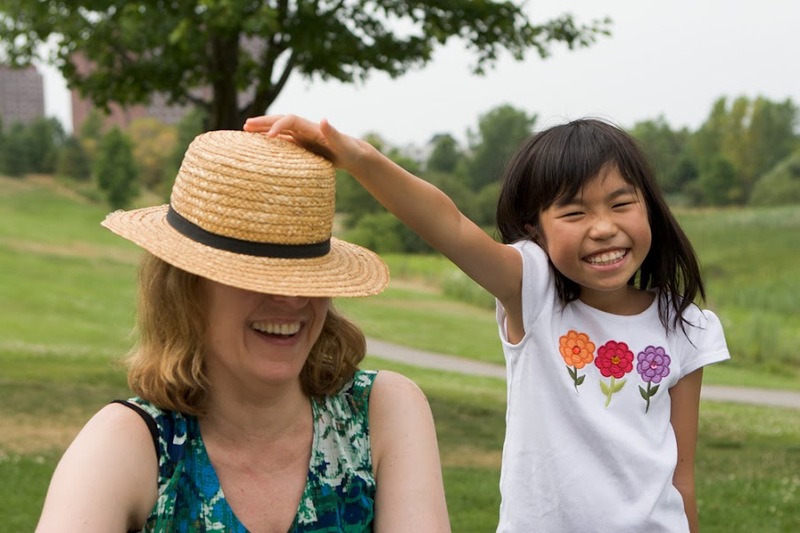 Thanks again for your help in getting this photo onto the Boylston Blog. 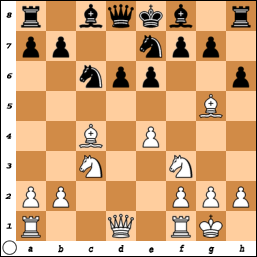 Because we are an all-volunteer, non-profit organization, it can be difficult to maintain the Boylston Chess Club. Last night, Board President Charles Riordan and I spent a few hours cleaning up our space. Please help us keep the club clean and neat. If you bring food in the club, for example, please clean up after yourself. Finally, we have many items in our Lost and Found box including clothing, sunglasses, and a helmet. Please take a moment the next time you are at the club to go through the box, which is in the TD room near the second door, and see if any of these items belong to you. Because the Lost and Found is taking up so much space, we will have to dispose of the items on August 1. If you think you might have an item there, please look before this deadline. I know we all love our club, so let's work together to take care of it! Reubens Landey after two rounds. I'm sending you this series of photos for publication on the Boylston Blog. The players: IM Joe Fang and Expert (working hard to become Master) Billy Collins. 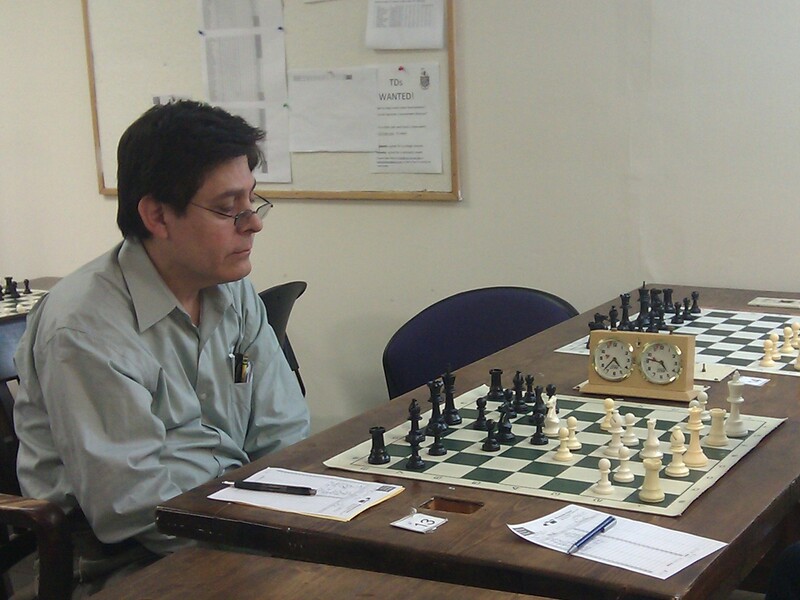 Billy is training in chess every evening at the Au Bon Pain Chess scene in Harvard Square. He plays all comers, from beginner to strong master. He told me that in his series with IM Joe Fang, he actually won 3 games. 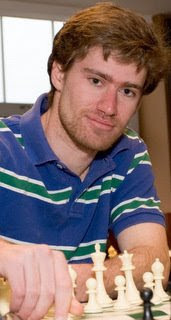 I am happy to make the effort to promote Billy Collins because of his demonstrated dedication to chess. He is a fighter. He studies chess and he plays strong and creatively. Billy is a current member of the BCC. He said he will be playing tournaments with us soon. I find his enthusiasm for chess exciting and inspiring.